This is a very nice, high quality decorative metal wall decor art. Featuring abstract shapes & patterns hand-painted in various bold colors. Works well with many different themes of decor. This decor is very large, measuring approximately 44" wide x 31" high. Arrange them any way you want to - in a different order, upside-down, horizontal - whatever you like! Coloring may vary slightly since this set is hand-painted. 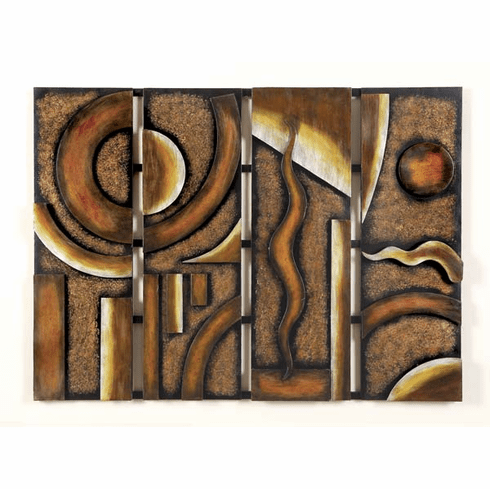 Abstract large wall metal sculpture perfect your home, hotel, business office and stuido. Dimensions: 32" x 24" x 5"